This is one of the best ways to eat okra. 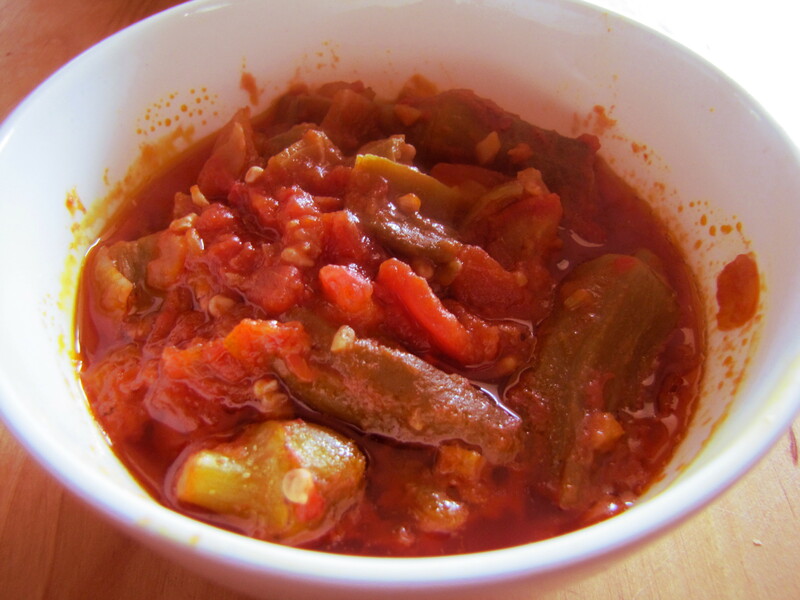 The okra binds the oil and tomato together into a luscious, slippery stew. You can use fresh, or frozen okra. You can cut the okra into rings, or just slice them into halves down the middle. Typical of Portuguese influenced cooking, this Angolan recipe has a little vinegar in it. It’s wonderful as-is, for a veggie main, or side dish. You can also add a whole, cut up chicken and turn it into a hearty meal (like a bare-bones muambha de gallina). 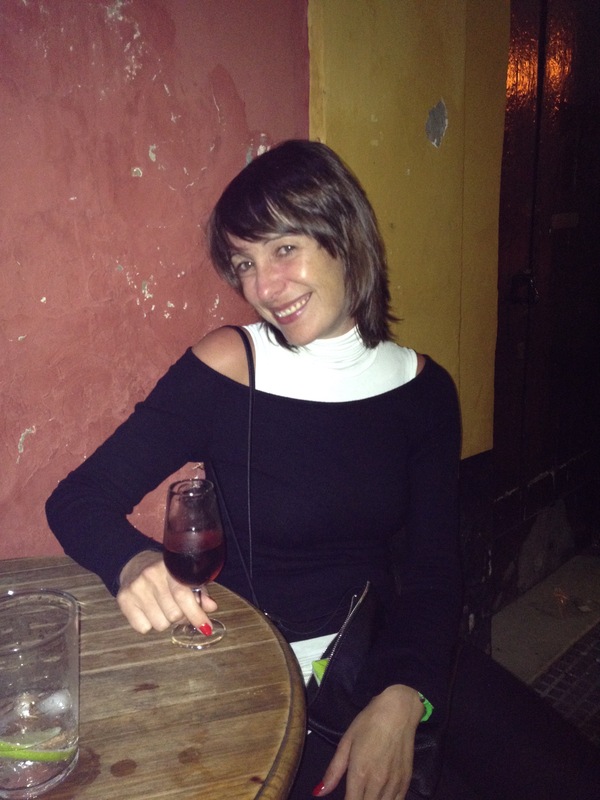 Matilde is a legume ecological geneticist, from Cascais, near Lisboa, Portugal. Her agronomy training has been useful to everyone in the house, because it incorporated a lot of wine tasting. She pretty much specialises in wine from Europe and California, and most anywhere else — and has an encyclopedic knowledge of Port wines, amarguinha, and firewater. When she returns from trips to Portugal, her bags tend to be filled to bursting with bottles of Portuguese liqueur, sausage, and cheese.